Additional DNA markers from Europe, West Asia, and Africa exist in the DNA of modern native populations, but it is difficult to determine whether they are the result of migrations that predated Columbus, such as those described in the Book of Mormon, or whether they stem from genetic mixing that occurred after the European conquest.18 This is due in part to the fact that the “molecular clock” used by scientists to date Y-chromosome and mitochondrial DNA markers is not sufficiently sensitive to pinpoint the timing of migrations that occurred as recently as a few hundred or even a few thousand years ago.19 Moreover, no molecular clock is currently available for complete genomes. Consider the case of Dr. Ugo A. Perego, a Latter-day Saint population geneticist. His genealogy confirms that he is a multigeneration Italian, but the DNA of his paternal genetic lineage is from a branch of the Asian/Native American haplogroup C. This likely means that, somewhere along the line, a migratory event from Asia to Europe led to the introduction of DNA atypical of Perego’s place of origin.23 If Perego and his family were to colonize an isolated landmass, future geneticists conducting a study of his descendants’ Y chromosomes might conclude that the original settlers of that landmass were from Asia rather than Italy. This hypothetical story shows that conclusions about the genetics of a population must be informed by a clear understanding of the DNA of the population’s founders. In the case of the Book of Mormon, clear information of that kind is unavailable. Illustration of population bottleneck. Due to a dramatic reduction in population, some genetic profiles (represented here by the yellow, orange, green, and purple circles) are lost. Subsequent generations inherit only the DNA of the survivors. A study in Iceland combining both genetic and genealogical data demonstrates that the majority of people living in that country today inherited mitochondrial DNA from just a small percentage of the people who lived there only 300 years ago.26 The mitochondrial DNA of the majority of Icelanders living at that time simply did not survive the random effects of drift. It is conceivable that much of the DNA of Book of Mormon peoples did not survive for the same reason. Book of Mormon record keepers were primarily concerned with conveying religious truths and preserving the spiritual heritage of their people. They prayed that, in spite of the prophesied destruction of most of their people, their record would be preserved and one day help restore a knowledge of the fulness of the gospel of Jesus Christ. 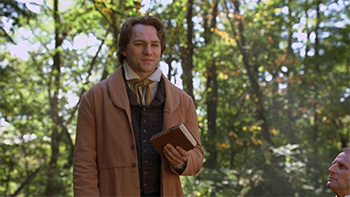 Their promise to all who study the book “with a sincere heart, with real intent, having faith in Christ,” is that God “will manifest the truth of it unto you, by the power of the Holy Ghost.”30 For countless individuals who have applied this test of the book’s authenticity, the Book of Mormon stands as a volume of sacred scripture with the power to bring them closer to Jesus Christ. This article uses the terms Native American and American Indian to refer to all the indigenous peoples of both North and South America. For more on the relationship of DNA studies and the Book of Mormon generally see Ugo A. Perego, “Is Decrypting the Genetic Legacy of America’s Indigenous Populations Key to the Historicity of the Book of Mormon?” Interpreter: A Journal of Mormon Scripture 12 (2014): 237–79; Michael F. Whiting, “DNA and the Book of Mormon: A Phylogenetic Perspective,” Journal of Book of Mormon Studies 12, no. 1 (2003): 24–35; Daniel C. Peterson, ed., The Book of Mormon and DNA Research (Provo, UT: Neal A. Maxwell Institute, 2008). Antonio Torroni and others, “Asian Affinities and Continental Radiation of the Four Founding Native American mtDNAs,” American Journal of Human Genetics 53 (1993): 563–90; Alessandro Achilli and others, “The Phylogeny of the Four Pan-American MtDNA Haplogroups: Implications for Evolutionary and Disease Studies,” PloS ONE 3, no. 3 (Mar. 2008): e1764. Ugo A. Perego and others, “Distinctive Paleo-Indian Migration Routes from Beringia Marked by Two Rare mtDNA Haplogroups,” Current Biology 19 (2009): 1–8. Martin Bodner and others, “Rapid Coastal Spread of First Americans: Novel Insights from South America’s Southern Cone Mitochondrial Genomes,” Genome Research 22 (2012): 811–20. John L. Sorenson, “When Lehi’s Party Arrived in the Land, Did They Find Others There?” Journal of Book of Mormon Studies 1, no. 1 (Fall 1992): 1–34. These arguments were summarized more recently in John L. Sorenson, Mormon’s Codex: An Ancient American Book (Provo, UT: Neal A. Maxwell Institute, 2013). Sorenson suggests that indicators in the book’s text makes it “inescapable that there were substantial populations in the ‘promised land’ throughout the period of the Nephite record, and probably in the Jaredite era also” (“When Lehi’s Party Arrived,” 34). Though there are several plausible hypotheses regarding the geographic locations of Book of Mormon events, the Church takes no official position except that the events occurred in the Americas. See Book of Mormon Seminary Teacher Manual (2012): 196. “Facts Are Stubborn Things,” Times and Seasons 3 (Sept. 15, 1842): 922. This article is unattributed but was published under Joseph Smith’s editorship. See also Hugh Nibley, Lehi in the Desert, The World of the Jaredites, There Were Jaredites (Salt Lake City and Provo, UT: Deseret Book and Foundation for Ancient Research and Mormon Studies, 1988): 250. For a review of statements on this subject, see Matthew Roper, “Nephi’s Neighbors: Book of Mormon Peoples and Pre-Columbian Populations,” FARMS Review 15, no. 2 (2003): 91–128. Introduction to the Book of Mormon, rev. ed. (New York: Doubleday, 2006). The introduction, which is not part of the text of the Book of Mormon, previously stated that the Lamanites were the “principal ancestors of the American Indians.” Even this statement, first published in 1981, implies the presence of others. (Introduction to the Book of Mormon, 1981 ed.) Early in the Book of Mormon, the name Lamanite refers to the descendants of Laman and Lemuel (see 2 Nephi 5:14 and Jacob 1:13). Hundreds of years later, it came to identify all those with a different political or religious affiliation than the keepers of the Book of Mormon plates (see Helaman 11:24 and 4 Nephi 1:20). Peter A. Underhill and Toomas Kivisild, “Use of Y Chromosome and Mitochondrial DNA Population Structure in Tracing Human Migrations,” Annual Review of Genetics 41 (2007): 539–64. Haplogroup names follow a standardized nomenclature of alternated letters of the alphabet and numbers. See International Society of Genetic Genealogy, “Y-DNA Haplogroup Tree 2014”; and Mannis van Oven and Manfred Kayser M., “Updated Comprehensive Phylogenetic Tree of Global Human Mitochondrial DNA Variation,” Human Mutation 30 (2009): E386–E394. You are about to access http://www.isogg.org/tree and http://www.phylotree.org. Vincenza Battaglia and others, “The First Peopling of South America: New Evidence from Y-Chromosome Haplogroup Q,” PLoS ONE 8, no. 8 (Aug. 2013): e71390. Ugo A. Perego and others, “The Initial Peopling of the Americas: A Growing Number of Founding Mitochondrial Genomes from Beringia,” Genome Research 20 (2010): 1174–79; Jennifer Anne Raff and Deborah A. Bolnick, “Does Mitochondrial Haplogroup X Indicate Ancient Trans-Atlantic Migration to the Americas? A Critical Re-Evaluation,” PaleoAmerica 4, no. 1 (2015): 297–303. See Rasmus Nielsen and others, “Tracing the People of the World through Genomics,” Nature 541 (2017): 302–10. Maanasa Raghavan and others, “Upper Palaeolithic Siberian Genome Reveals Dual Ancestry of Native Americans,” Nature 505 (2014): 87–91. Stephen L. Zegura and others, “High-Resolution SNPs and Microsatellite Haplotypes Point to a Single, Recent Entry of Native American Y Chromosomes into the Americas,” Molecular Biology and Evolution 21, no. 1 (2004): 164–75. This “clock” is based on the observed rate at which random mutations occur in DNA over time. For an example of a proposed mitochondrial DNA molecular clock see Pedro Soares and others, “Correcting for Purifying Selection: An Improved Human Mitochondrial Molecular Clock,” American Journal of Human Genetics 84, no. 6 (2009): 740–59. Alessandro Achilli and others, “Reconciling Migration Models to the Americas with the Variation of North American Native Mitogenomes,” Proceedings of the National Academy of Sciences 110, no. 35 (2013): 14308–13. Morten Rasmussen and others, “Ancient Human Genome Sequence of an Extinct Palaeo-Eskimo,” Nature, Feb. 11, 2010, 757–62. This hypothetical migration would have been separated by approximately 200 generations from early migrations to the Americas. Quoted in Cassandra Brooks, “First Ancient Human Sequenced,” Scientist, Feb. 10, 2010, www.thescientist.com/blog/display/57140. Michael H. Crawford, molecular anthropologist at the University of Kansas, noted similarly that the “evidence does not preclude the possibility of some small-scale cultural contacts between specific Amerindian societies and Asian or Oceanic seafarers” (Michael H. Crawford, The Origins of Native Americans: Evidence from Anthropological Genetics [Cambridge: Cambridge University Press, 1998], 4). Ugo A. Perego, “Origin of Native Americans,” 186–87. Native populations were reduced by as much as 95 percent. See David S. Jones, “Virgin Soils Revisited,” William and Mary Quarterly, Third Series, vol. 60, no. 4 (Oct. 2003): 703–42. Michael H. Crawford, Origins of Native Americans, 49–51, 239–41, 260–61. Agnar Helgason and others, “A Populationwide Coalescent Analysis of Icelandic Matrilineal and Patrilineal Genealogies: Evidence for a Faster Evolutionary Rate of mtDNA Lineages than Y Chromosomes,” American Journal of Human Genetics 72 (2003): 1370–88. Beth Alison Schultz Shook and David Glenn Smith, “Using Ancient MtDNA to Reconstruct the Population History of Northeastern North America,” American Journal of Physical Anthropology 137 (2008): 14. See “How Many Genetic Ancestors Do I Have?” Co-op Lab, Population and Evolutionary Genetics, UC Davis. You are about to access http://gcbias.org. Dallin H. Oaks, “The Historicity of the Book of Mormon,” in Paul Y. Hoskisson, ed., Historicity and the Latter-day Saint Scriptures (Provo, UT: Brigham Young University Religious Studies Center, 2001), 239. Originally published January 2014. Updated April 2017.